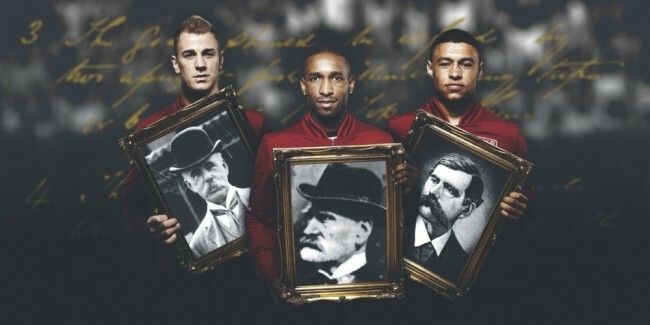 As part of their ongoing 150th anniversary celebrations, The FA are launching a search to find the living descendants of the founding fathers of football, i.e, the eight men who together outlined the 13 original “laws” of the game and bound them together to produce association football’s first official rule book in the Freemasons’ Tavern, London, 150 years ago – a weighty tome which is now estimated to be worth £1 million! The FA are hoping to track down the living relatives of Ebenezer Cobb Morley (1831-1924), Arthur Pember (1835-1886), Charles William Alcock (1842-1907), Francis Maule Campbell (1843-1920), John Forster Alcock (1841-1910), Herbert Thomas Steward (1839-1915), George Twizell Wawn (1840-1914) and James Turner (dates unknown) in a bid to trace the family tree of our national game as surprisingly little is known about the history of those involved at the very beginning. After the eightsome’s descendants are identified and located, all of them will be sent an invitation to a special ceremony at Wembley in October where their ancestors will be honoured. The enthusiasm shown by the players is just baffling. Those are some amazing names. Ebeneezer Cobb Morley? George Twizzel Wawn? Proper English names those are, yeah?